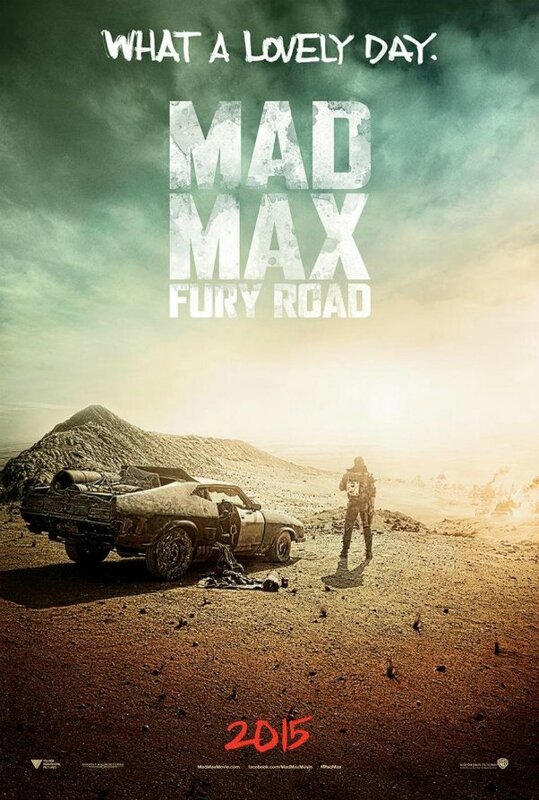 One of the titles flying under the radar as we head into San Diego Comic-Con is George Miller’s Mad Max: Fury Road, which is kind of insane given the reasons why fans should be amped up for this return to Max Rockatansky’s post-apocalyptic world. True, Mel Gibson is sitting out a Mad Max movie for the first time in franchise history. But he has been replaced by all-around badass Tom Hardy, who turns his back on us in the first official post from next summer’s blockbuster. 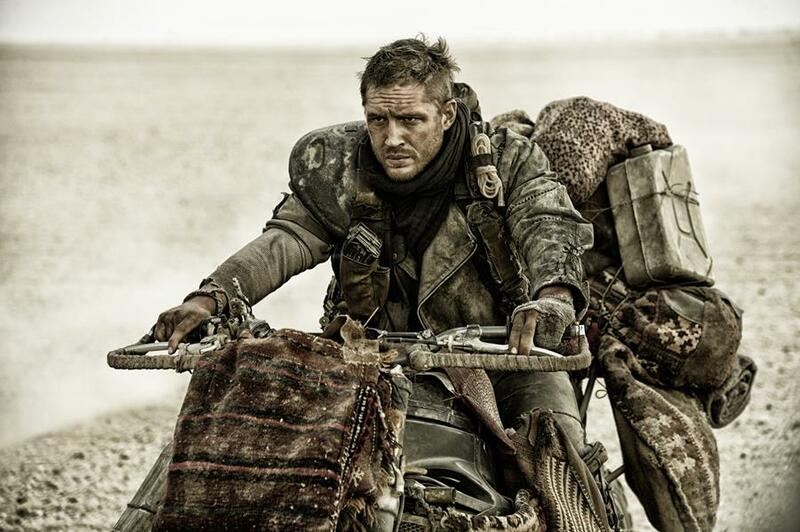 Max (Tom Hardy) isn’t even on a road in the image, parking Max’s beast of an automobile on the outskirts of a desert wasteland as he overlooks his next, seemingly physical challenges. We can look at some of the upgrades to the car Max will pilot in this new movie, though I have zoomed in and can’t quite make out what is spilling out of the back seat of the car. The modifications to the back of the car appear to make it go faster that usual. 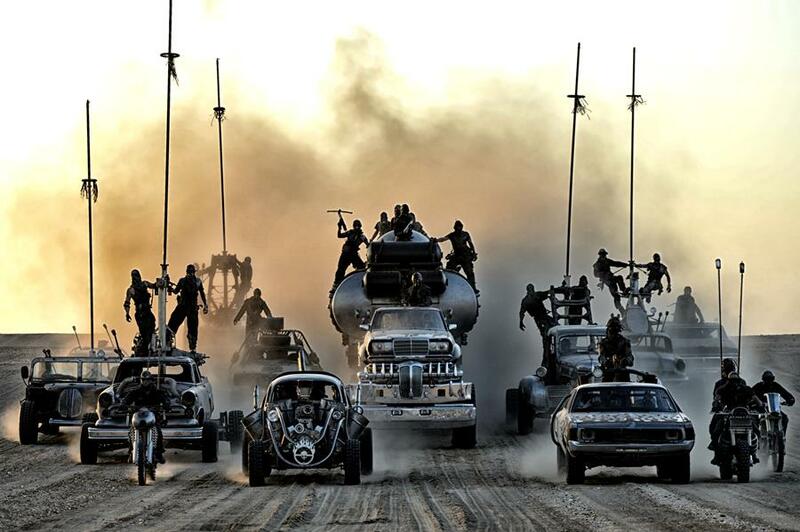 That’s good considering we are hearing that Mad Max: Fury Road will consist of one long car chase. That sounds cool as hell. Mad Max: Fury Road will be part of Warner Bros.’ massive Hall H panel on Saturday morning, and it’s rumored that they will show a teaser trailer of footage. That teaser likely will hit the Web shortly after, giving most of us the first look at the George Miller’s return to the franchise that boosted him onto the world stage. 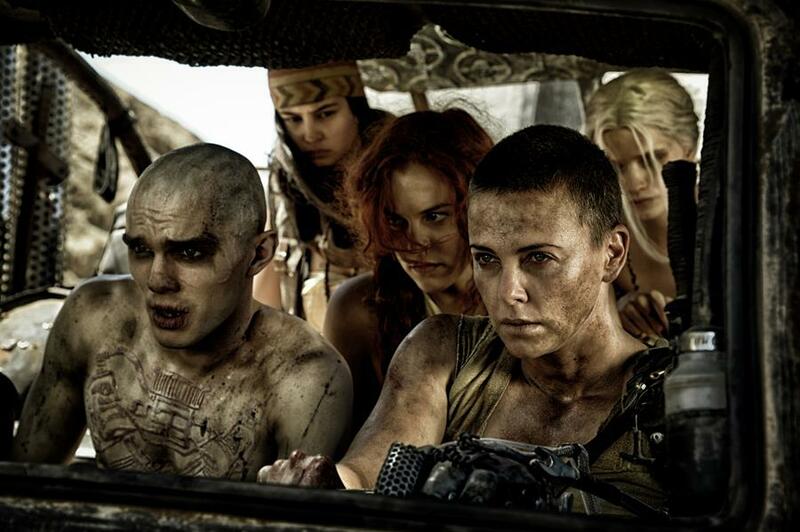 From everything that we are hearing, the one who walks away with Mad Max: Fury Road isn’t actually Max (Tom Hardy), but his co-star, Charlize Theron. 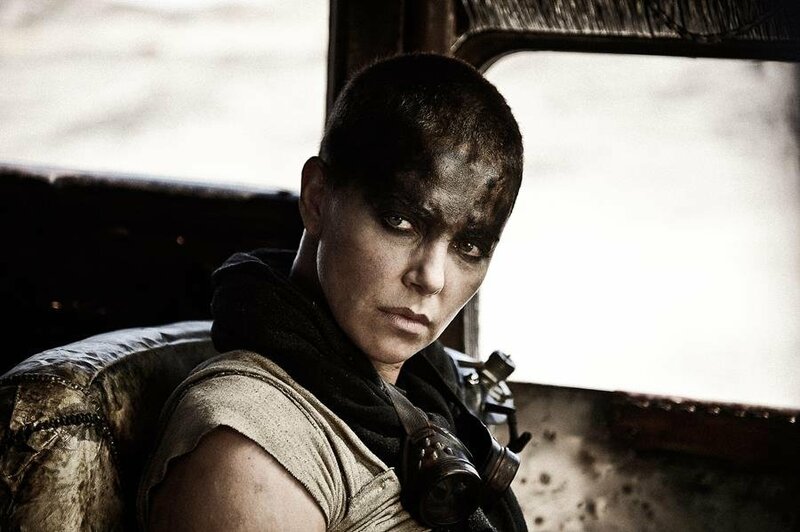 The statuesque beauty shaved her head to dive into the role of Furiosa, though so much about her character has yet to be revealed. We’re guessing a lot more information will come out after te Hall H presentation on Saturday. 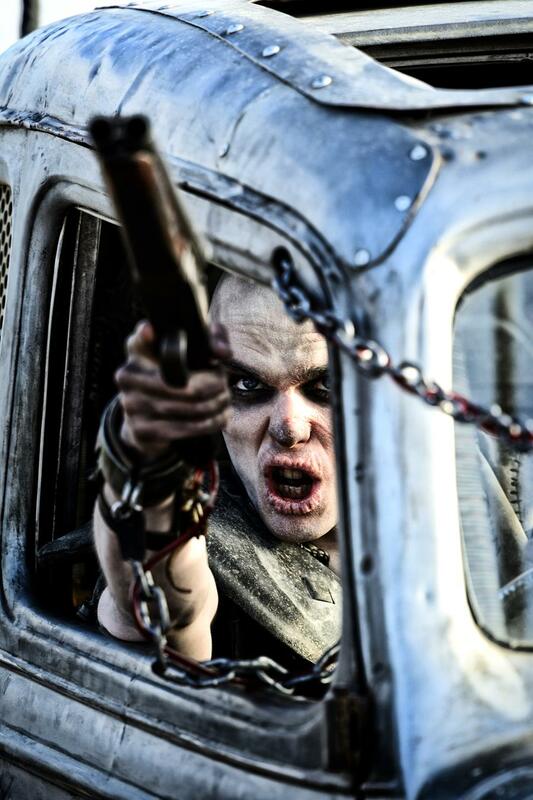 In the meantime, we have collected a gallery of the latest Mad Max: Fury Road images. We will be attending the Warner panel, and will come back with news and details pertaining to the sequel. And once that footage drops, we will have it on the site, ready for you to look at scan every single frame of the return of Max Rockatansky… even if he is played by a different actor this time out.